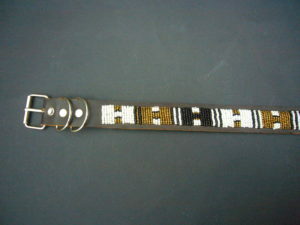 A high quality leather pet collar with intricate woven bead design, leather backed and strong metal buckle - bright coloured Masai bead on light tan leather. Suitable for medium to large breed dog. 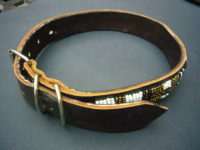 The collar is 1" wide and adjusts to fit collar size 14"-19" with D rings attached.